Are LED Lights Good For Aquarium Plants? How Much LED Light For Planted Aquariums? 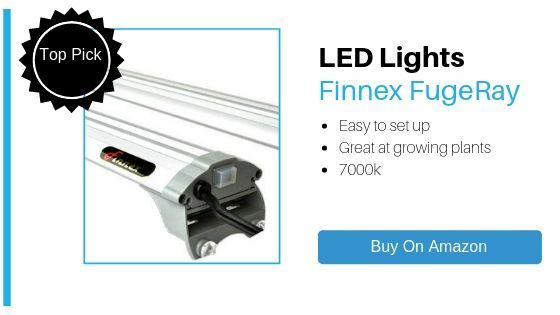 LED Aquarium Lighting: How Much LED Light For A Planted Aquarium? What’s so great about LED lights in a planted tank? Well, aquarium lighting has come a long way and LED lights have played a big part in that. Are we saying you can’t build a thriving planted tank with old T5 or T8 lights? If you ask us, we’ll tell you that you can still do that. But, pound for pound, LED lights are the harder hitter. We’ll go into why that is a bit later. 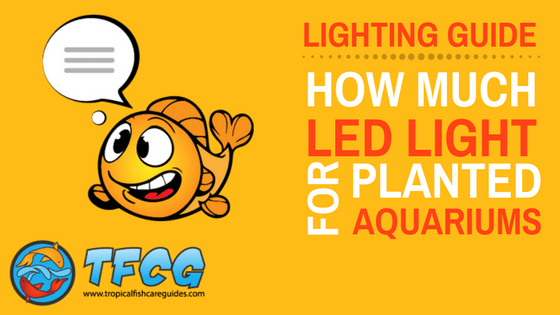 But for now, the answer you’ve been waiting for…Just how much LED light do you need for a planted aquarium? Well…there isn’t a one-amount-fits-all, secret LED lighting number. The reality is, your tank is unique. There are a number of variables to consider when it comes to getting the right amount of light for your tank. Don’t be discouraged, though–this post looks at several of the most important of those factors (and explains why lighting isn’t as scary as it seems). What Size LED Lights Do I Need for My Aquarium? As we said above, LED lights are great for lighting your planted tank. But you don’t want to grab any old LED light. Not all LED lights are made equal–they vary in strength, colors offered, and features. If you’re setting up a planted tank, you need to make sure you’re getting LEDs with light strong enough for your plants to photosynthesize! There are plenty of LED lights out there designed for planted tanks (and plenty that aren’t, but can be used if DIY is your thing see below!). Some of the higher-end models have a 24-hour daytime/nighttime cycles. Low-end models will come with just an on/off switch. It’s possible to grow healthy, beautiful plants (and even Coral) with lights at both ends of the price spectrum. Just be wary of LED lights included in startup tank kits–these LED lights often aren’t strong enough to successfully grow plants. Watch this video & learn how to make cheap and easy LED lights! As we said, there’s no universal, “magic amount” of light we can share with you–but we do have the next best thing: General rules of thumb. For example, the plants in your aquarium will typically require at least 10 lumens per liter. If it’s a light-hungry plant, it could require closer to 40 lumens (which is a full watt) per liter. Medium light plants would fall in the 20 to 40 range. This isn’t perfect. The light won’t spread uniformly across every liter of your tank. The deeper the light has to travel, the weaker it gets. Even though lumens per liter is imperfect, it can still serve as a helpful starting point for gauging your plants’ needs and the strength of your light relative to your tank. A metric that isn’t quite as helpful for LEDs is WPG or Watts per Gallon. In the blue corner, you have aquarists arguing that it can give you a “rough idea” of how much light your tank has/needs, and it’s not any less valuable than a PAR reading. In the red corner, you have aquarists arguing that it was a method devised years ago that was never quite used correctly, and now it makes no sense–especially when it comes to LED lights. LED lights give off similar levels of light as T5 or T8 bulb lights, but with a lot less wattage. If you tried to match old T5 watts per gallon numbers with energy-efficient LED lights of today, you’d likely kill your plants and grow some serious algae. And, as we said earlier, the light in a tank is not uniform. It’s not like you’re not mixing cocoa powder into a cup of hot milk–1 watt per gallon doesn’t actually mean 1 watt is mixed in with each gallon of water. 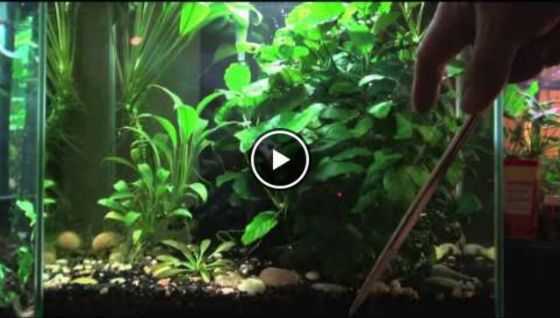 But even as we sit here debating the validity of old-school guidelines, many planted tank hobbyists (both old and new) are successfully using WPG as a way to loosely guide their planted tank lighting setups. PAR is another light measuring system that isn’t without controversy. 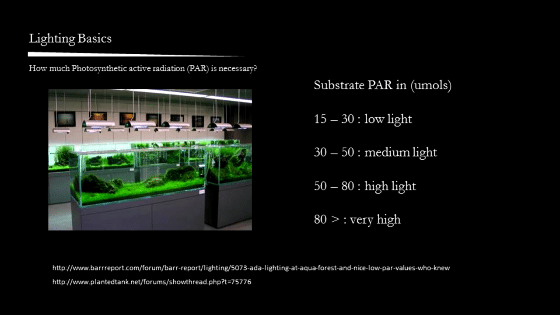 PAR stands for photosynthetic active radiation. It refers to the amount of light available for plants to synthesize food. A PAR meter can tell you how light much could be used, but not where in the spectrum the light falls. Plus, PAR meters can run you up about $350. If you’re a DIY champ you can rig one up for closer to $100. Since PAR doesn’t measure the spectrum of light, the PAR reading isn’t perfect. Plants absorb certain wavelengths of light more readily than others. No method is perfect, but tens of thousands of aquarists are still able to grow plants in their aquariums successfully. Well, if you were hoping for a clean, objective measurement–you’re out of luck. As with the amount of light, the size of light depends on a number of factors that are particular to your tank. This How To Calculate Your Tank Lighting forum post/calculator can’t account for all your tank’s variables. But, if you want to get as close as you can to calculating your lumens per square inch, the above link can help you do it. Here’s a cleaner version of a planted tank light calculator. This one comes without the helpful (but dense) “How To” explanation. One of the best ways to have success with your aquarium plants is to use easy to grow plants. 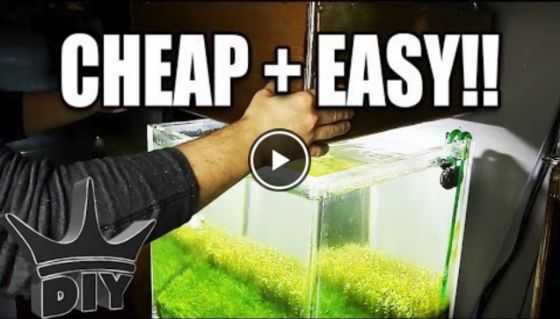 The video below goes over some great options for beginners. If you’re unsure exactly how much LED light you need, try starting with one of these low light plants. 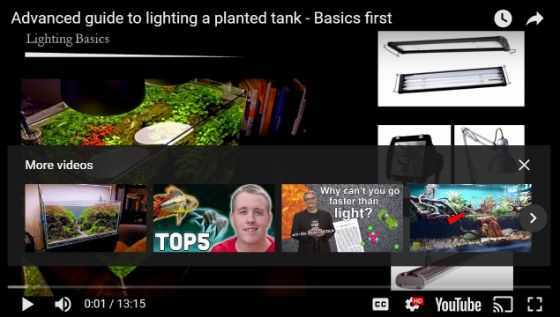 In the video below; Advanced Guide to Lighting a Planted Tank, the YouTuber goes over some common misconceptions about the spectrums of light plants actually use. For example, there’s a chart floating around that says plants barely absorb any light in the 540 to 580 spectral range (the green light range). These results come from a lab test, where scientists tested pigment extracts in tubes (rather than the whole plant leaf). When the whole leaf is tested, the plant actually absorbs quite a bit of light in that “green light” range. The green light is not your (or your plant’s) enemy. Most of the scientific community is in agreement on this, but that hasn’t stopped this incorrect chart from floating around. This misinformation is still circulating rampantly in some aquarist circuits. 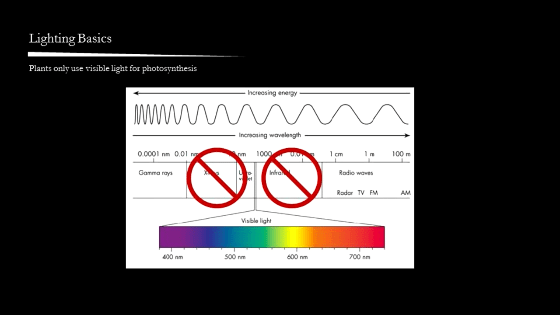 The video also discusses the range of the light spectrum that plants use, and how plants adapt to absorb the light they’re given. For a hobbyist, this is good news. After all, the tank’s aesthetic is important, and light color plays a big role in that. The video also describes the concept of light quality. It turns out that no fixture produces better light by default. It all depends on factors like spread, photons produced, differences in spectrums, and more. Also, K rating has nothing to do with how strong the light is–it’s a visual indicator of the hue of the light. Generally speaking, spectrum does not matter. The number of light matters, not quality. Enough light and anything can grow well. Well, even after all that talk about “planted aquarium lighting is an imperfect science” and “too many variables to make blanket lighting recommendations”…we’re still going to hit you with a couple lighting recommendations. By Jack Dempsey|2019-02-12T21:03:52-06:00January 24th, 2018|Aquarium LED Lighting|Comments Off on LED Aquarium Lighting: How Much LED Light For A Planted Aquarium? 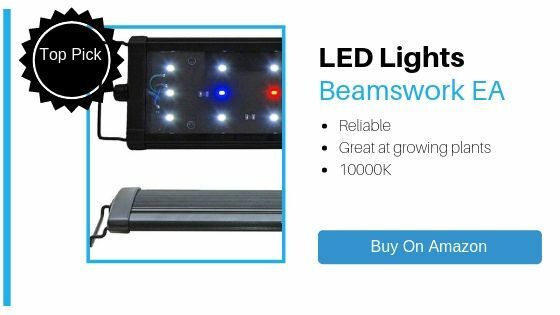 Beamswork LED Aquarium Light - Is it the best low cost LED light? Current USA Satellite Plus Pro - Is it the ultimate in control and customization?